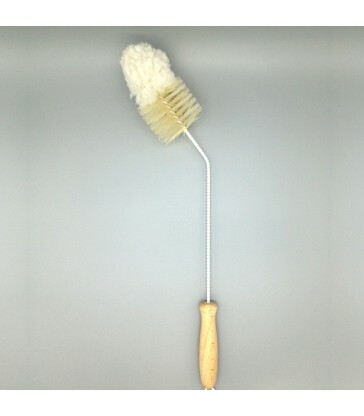 A brush to clean your silver with. 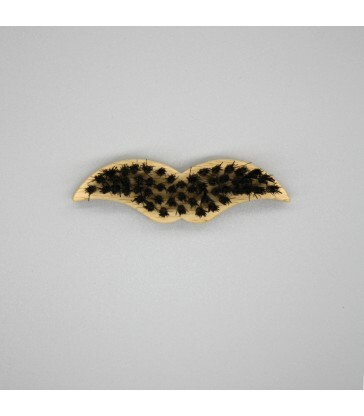 Use dry and brush back and forth across your silverware to get them sparkling in no time. 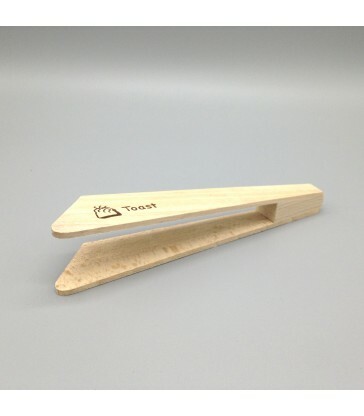 An eco friendly cleaning solution for your silverware. A natural pot scrubber. 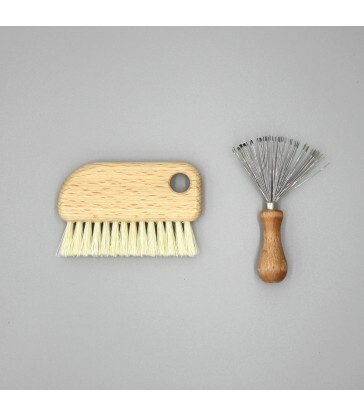 This pot scrubber is made from rice root, a simple natural way to clean your kitchen pots or wok. Keeping your kitchen eco-friendly. 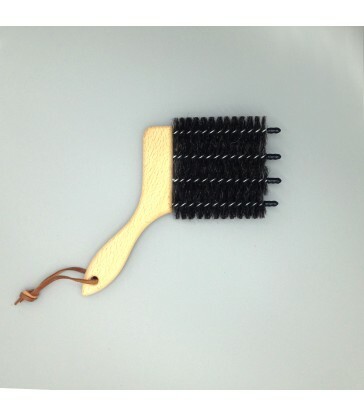 A double brush of goats hair and black bristles. 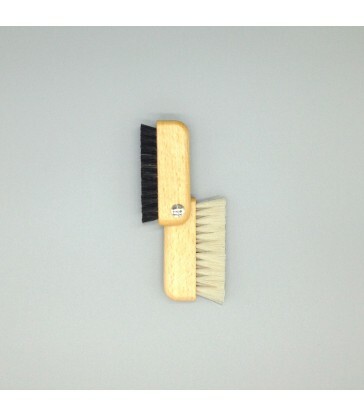 This little brush is an essential purchase for anyone with a laptop or keyboard. 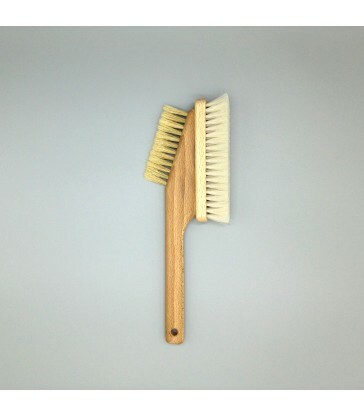 The computer brush folds out into two brushes. One softer bristled goats hair the other a harder bristle. 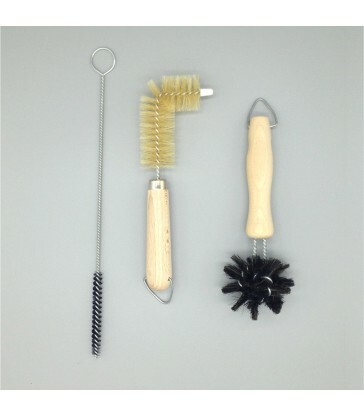 Use the little laptop brush to clean your keyboard. A great gift for all computer geeks. Perfect weapons for cleaning sinks and baths! Decanter Brush. 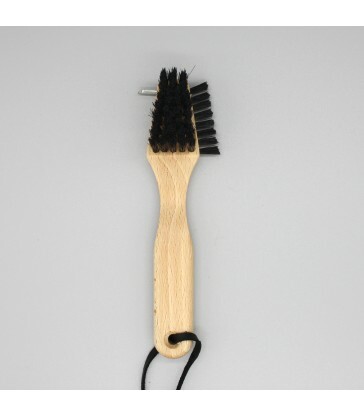 With a specially slanted neck so that the brush can clean into the trickiest parts of your glass decanters and other vases. 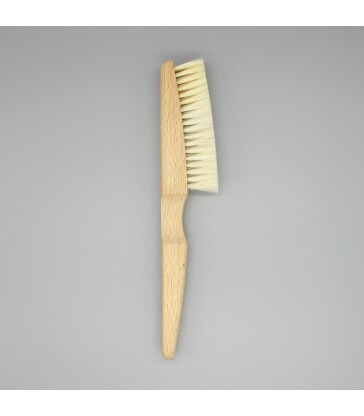 It both cleans and dries, with its cotton tip and natural bristles.